A versatile trailer mounted, battery powered portable runway lighting system that complies with International Civil Aviation Standards. 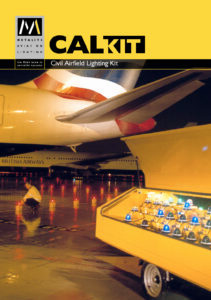 CALKIT™ can be used as a stand-alone, temporary system on remote airstrips or as emergency, supplementary or obstruction lighting at international and domestic airports. Light Fittings Standard ‘EEC’ configuration, 12V equipment supplied as standard.